Siam Thai BBQ and Sports Bar is an intriguing place. 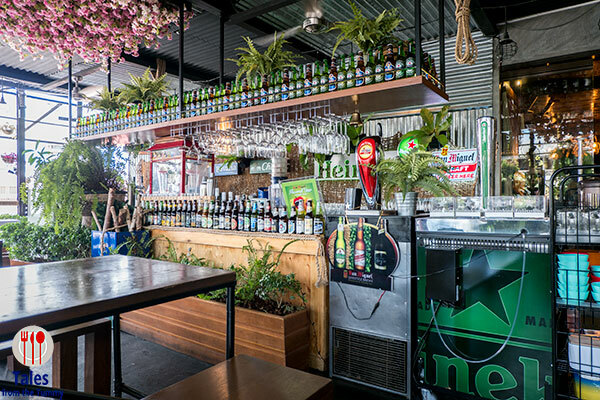 Located at the back end of a supermarket complex with a small entrance area with stairs leading to what looks like am open air beer garden. The specter of no air conditioning was one of the factors that caused us to overlook the place until Cyrene told us they had an enclosed area on the 2nd floor. Irene and I have been there once for a quick lunch and we were pleased and told ourselves we would come back. The place gets quite noisy though on Friday and Saturday nights. 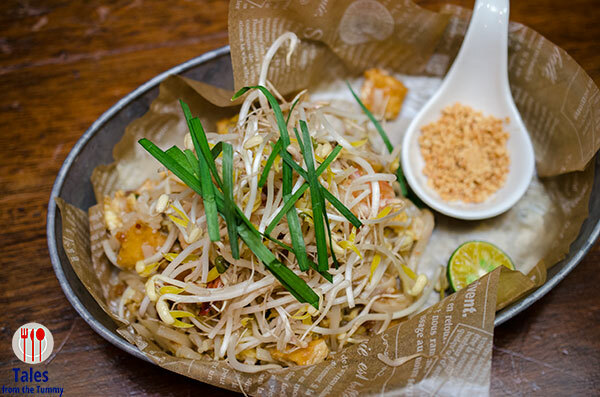 We visited recently with Jeff and Jane to try their other dishes including their famous Thai bbq. Their menu is diverse, ranging from Thai bbq called “Mookata“, to classic Thai dishes and even affordable lunch sets for P160 only. 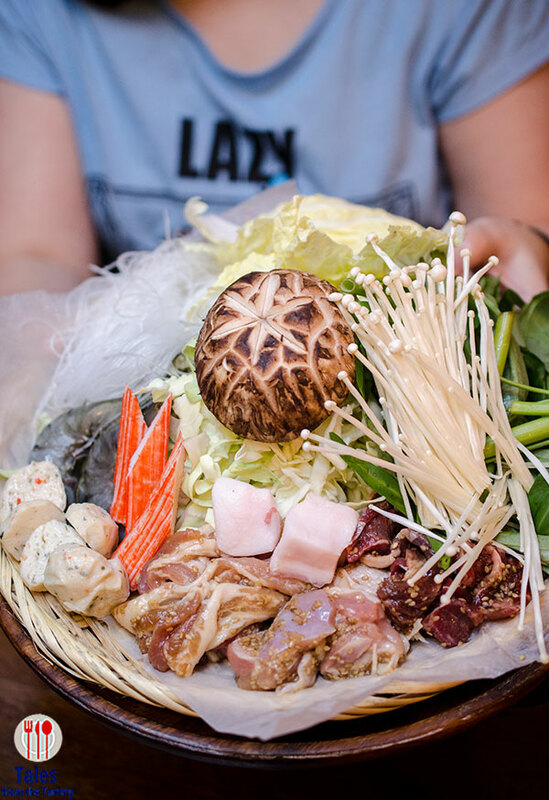 A mookata (mu kratha) is a Thai style bbq and steamboat that combines Korean bbq and Chinese hot pot. It is cooked in a special plate that allows the juices from the bbq items to flow into the soup to enhance it. The mookata is available as an ala carte dish (P390) or unlimited (P599). This is the above size for the ala carte portion, we feel it is more than enough to feed two people and you can just order other dishes to complement. The waitstaff will carefully lay the bbq items on top and you can see how the juices slowly flow into the soup that cooking slowly. 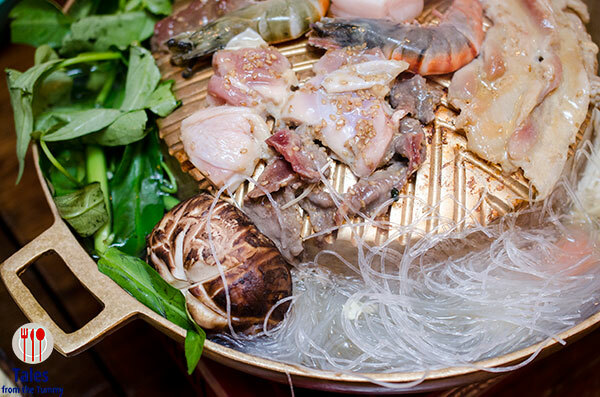 You can eat the bbq items first before indulging in the now flavor packed soup with vegetables and glass noodles. Don’t forget to prepare their special sauce combo to dip your meat and balls in, it just makes everything more delicious. 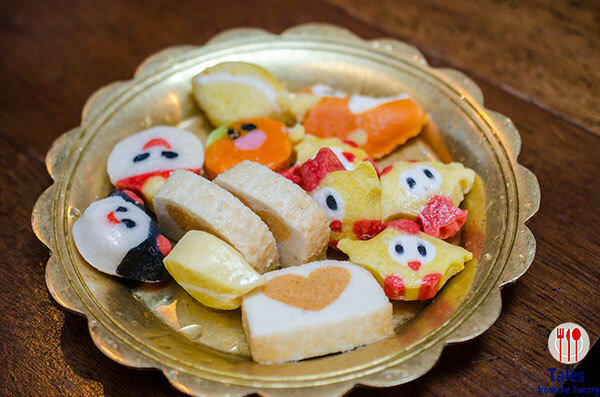 For ala carte orders, you can add quirky and colorful balls like these above at an additional fee. 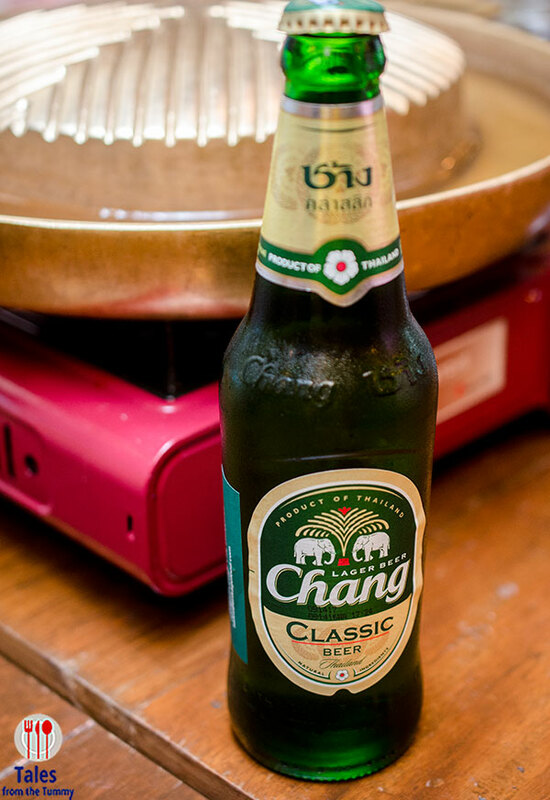 I suggest a bottle of Chang beer (P80) from Thailand to go with your meal. They also have other local and imported beer and selected beer on tap. 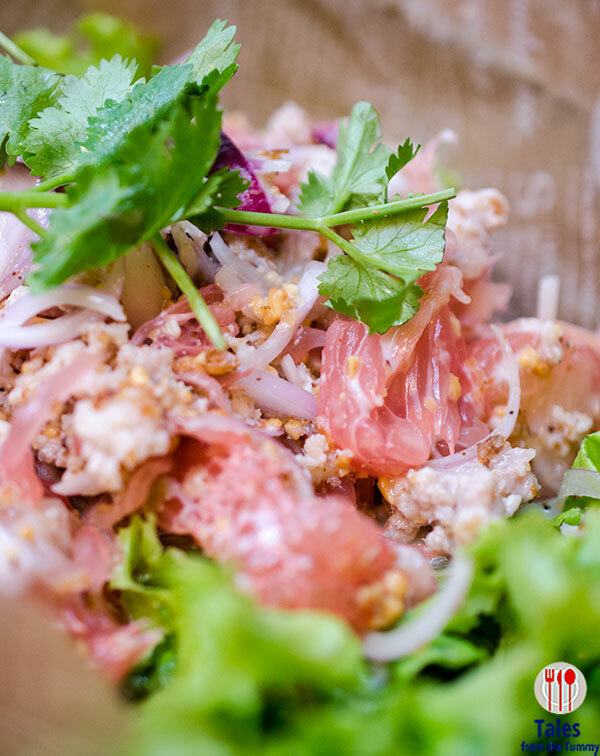 They also have Thai classic dishes in spades starting with the Thai Style Pomelo Salad (P200). Fresh and juicy pomelos with a good balance of salty and sour from the lime and fish sauce. A good way to whet your taste buds. 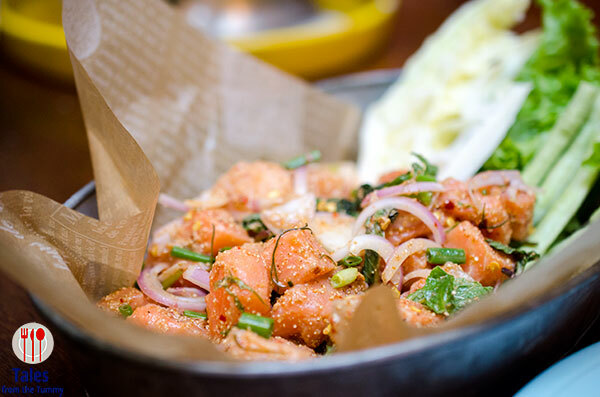 Fresh Salmon Salad in Thai Vinaigrette (P290) Looks innocuous enough but once you take a bite, you’ll get a big dose of spiciness. Fair warning, order this only if you can take spicy food if not skip. Tom Yum Goong (P240). 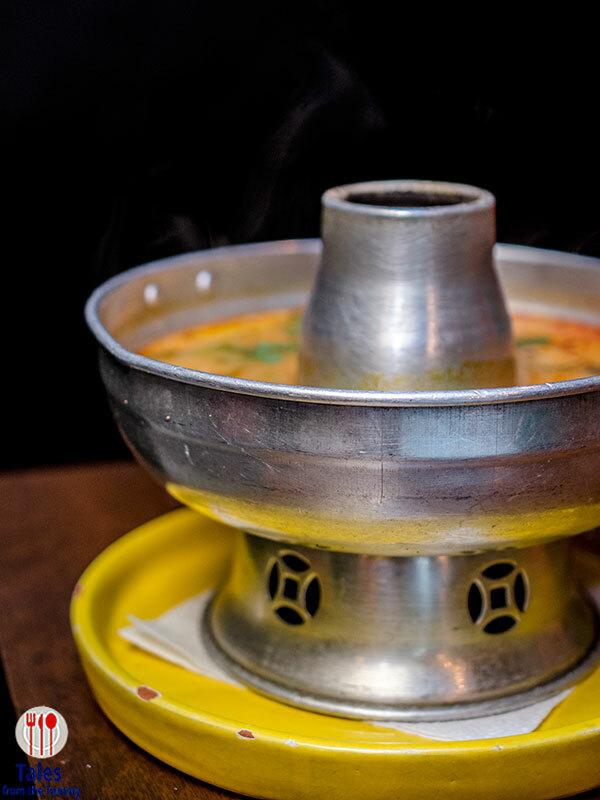 This is a great version of the classic Thai hot and sour soup, served in a warmer to keep the soup at the right temperature. 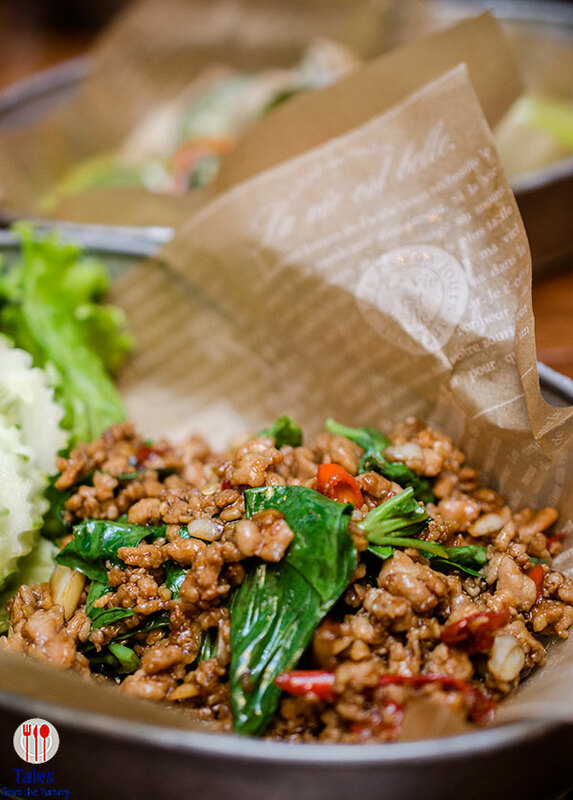 Flavors are balanced with good amount of shrimps and vegetables. For your carb needs, I suggest the Bagoong Rice or the Pad Thai Noodles (P220). The rice was good but the noodles are much better, flavor packed ala dente noodles with a good amount of spice. Chicken Satay (P180). 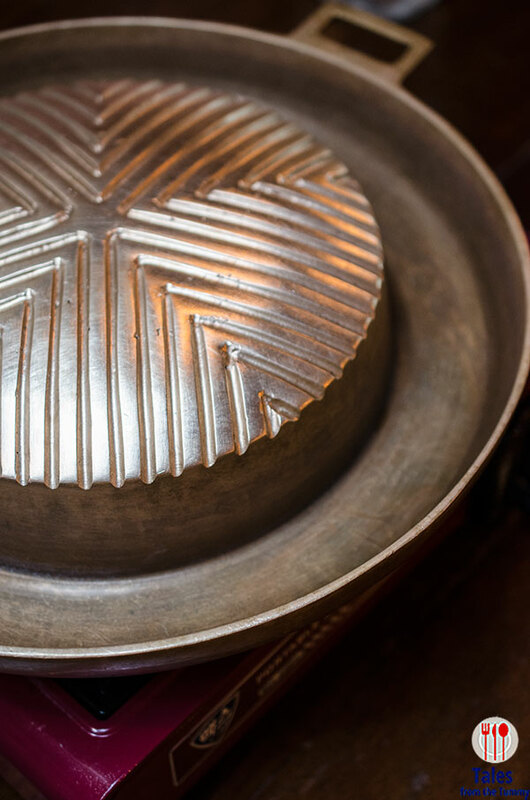 Good to pair with your rice but also good for your drinking sessions. 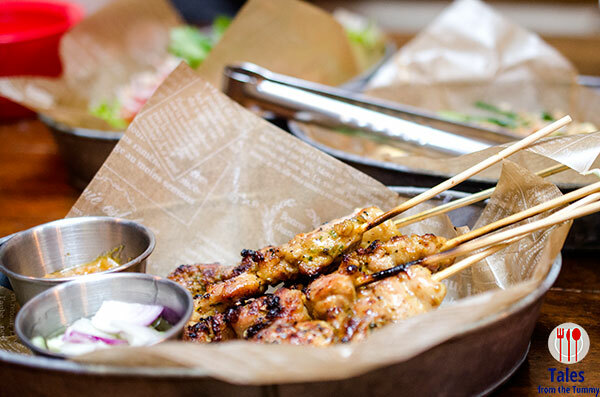 The peanut sauce is thick and chunky just the way it should be to properly coat the grilled skewers. Kra Pao Pork or Chicken (P150). 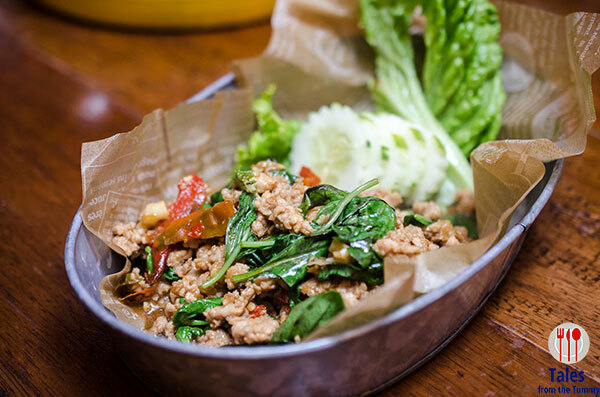 Minced pork or chicken cooked with Thai basil, chili and other spices. I wasn’t familiar with this dish so the first taste was wonderfully surprising. I’m leaning more towards the pork version but you won’t go wrong with either choice. Good even with the bagoong rice but I imagine even better with just plain rice. 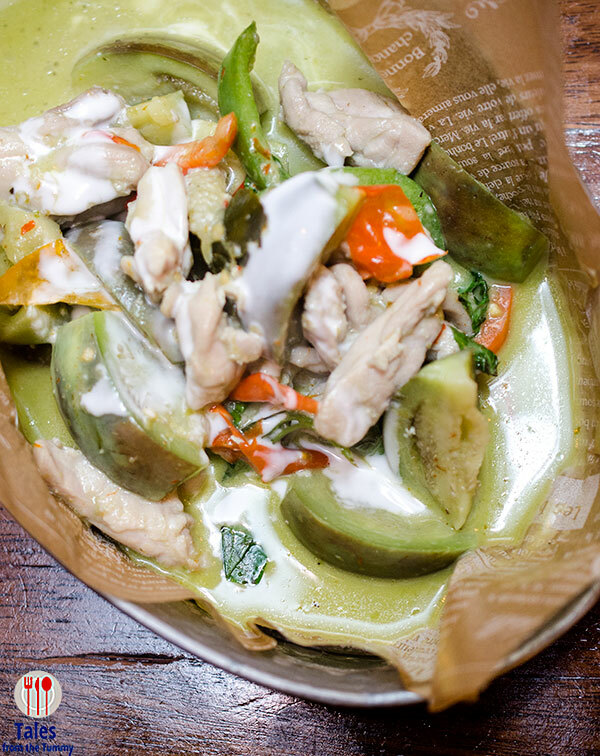 Chicken Green Curry (P220). I had an impression that Thai curry dishes were real spicy so always avoided them but this one is not. Chicken and baby eggplant cooked in curry with coconut milk that tastes very comforting. 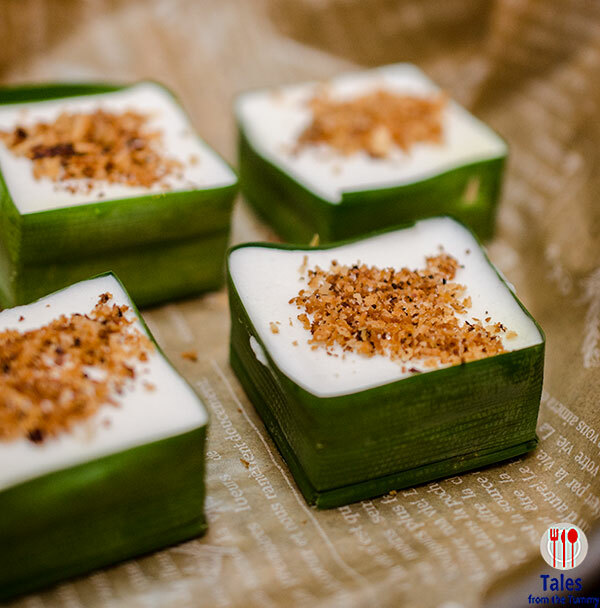 They recently added Thai desserts to their menu, we were able to try Sticky Rice and Mangoes and Tako Thai. 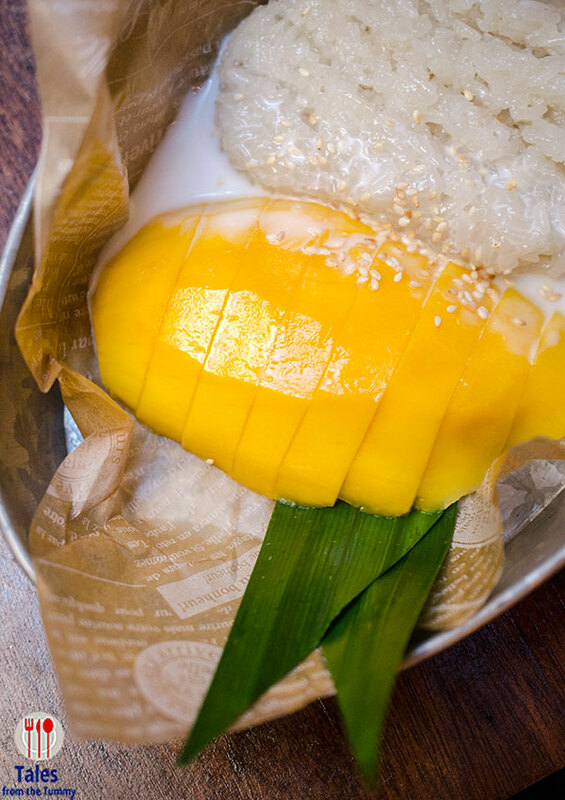 The sticky rice is good but dependent on the sweetness of mangoes to carry the dish. The tako is the best I’ve had in Manila so far with a strong coconut milk flavor accentuated the toasted coconut on top. 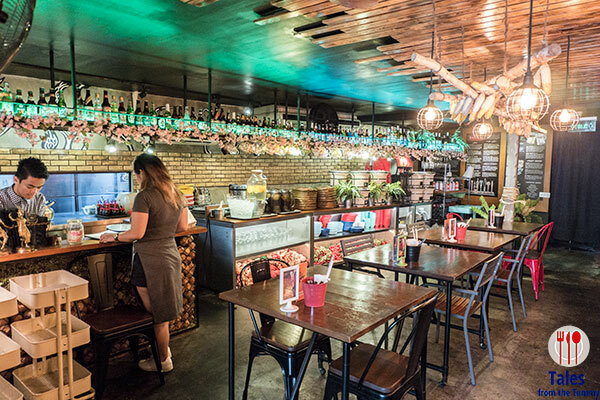 Siam Thai BBQ and Sports Bar is a great addition to the Kapitolyo restaurant scene. It’s currently our favorite Thai restaurant perfect for quick lunches or lazy nights sipping soup and eating meat with a bottle or two.